As one of the industry’s leading business process outsourcing providers today, GC Services offers a wide array of accounts receivable solutions and customer care solutions to both public and private sector organizations. Our partnerships include clients from numerous industries including the automotive, banking and financial services, cable and satellite, consumer goods/computer manufacturing and electronics, retail, telecommunications, utility, mortgage, student loans, and various governmental sectors. Such diverse experience allows us to deliver best-in-class solutions to our clients with highly skilled management and staff. 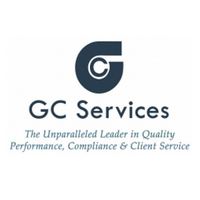 GC Services provides custom-tailored solutions to meet specific performance objectives and service levels. We have proven our competence in handling all stages of delinquency within the receivable cycle. GC Services' unique and distinguishing factors include our financial strength, industry longevity, and tenured executive leadership. As an outsourcing leader in both the call center and accounts receivable industries, GC Services provides a wide array of inbound and outbound management solutions to both public and private sector organizations.